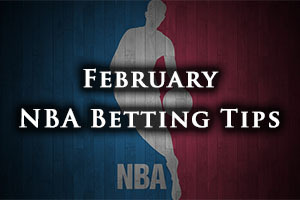 If you missed NBA action last Saturday, you will be delighted to know that it is back and there are plenty of great games to look forward to. There were also plenty of games on Friday night, which we will look back on now. The Magic were too strong for the Pelicans in Orlando, winning by a score of 95-84 while the Heat were triumphant in New York, defeating the Knicks by a score of 87-111. The Pistons held firm in Detroit, defeating the Bulls by a score of 100-91 and the Timberwolves just about downed the Suns, winning a close game by a score of 111-109. The Mavericks were too strong for the Rockets, winning 111-100 in Dallas while the Kings dealt with the Celtics by a score of 109-101. The Warriors defeated the Spurs by a score of 110-99 while the Pacers were trounced at home, losing 95-106 to the Pacers. The Hawks were downed at home by the Raptors, 80-105 and the Cavaliers demolished the Wizards in Washington, winning by a score of 89-127. The Bucks held firm against the Nuggets, winning by a score of 89-81 and the Jazz were comfortable against the Trail Blazers, the team from Utah grabbing a 92-76 home win. The Nets grabbed a great away win, defeating the Lakers in Los Angeles by a score of 105-114. Derrick Rose hasn’t been in the best of form for the Bulls of late but he should find that a game against the Suns is the ideal opportunity to bounce back to form. With the Bulls settling in for a lengthy streak of home games, a win here would provide plenty of cause for optimism in the games that lie ahead. The Bulls fans will be looking for Rose to have a greater return than 8 points though, the sorry amount he offered in their Friday night loss in Detroit. The Suns hold a 29-26 record this season and this contains a 13-15 record on the road. The Suns are currently on a losing streak of 3, which is sadly bringing down their ten game record to a 3-7 record. Even with three defeats in their last 10 outings, the Suns hold a better 10 game record than the Bulls, who have a 5-5 record. 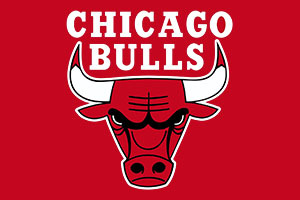 The Bulls hold a 34-21 record which contains a 15-11 record at home. With respect to average points scored, the Suns are ahead with 106.00 to 102.00 and the Bulls lead the way with average points allowed, 99.1 to 104.9. When the Bulls were losing 100-91 in Detroit, the Suns were losing in Minnesota with the Timberwolves triumphing 111-109 in a close game. The Suns are likely to be without Alex Len while Danny Granger is a big doubt and the Bulls are monitoring Jimmy Butler while Kirk Hinrich is a bigger doubt. This could be a close affair but the Bulls can be found with a -3.5 handicap at odds of around 1.90 so this should be a good starting point for your Saturday betting activities. Bet Now! Sometimes a new coach can make all the difference and the Kings certainly got a boost with the arrival of George Karl. A 109-101 home win against the Celtics was a welcome start for the former Denver coach but he won’t be fooled into thinking that life is going to be easy. The Kings showed great mental strength in bouncing back from a 16 point deficit but they may not have the strength to do this against other teams. The Kings hold a 19-34 record heading into this game with a miserly 7-17 record away from home. They hold a 3-7 record in their last 10 outings. The Clippers have a stronger 36-19 record so far this campaign which includes a 22-7 record at home. They Clippers have won their last three outings and hold a 5-5 record in their last 10 games and in their most recent game, they defeated the Spurs 119-115 on Thursday night, which was one of the two games that broke the NBA out of the All-Star break. Unsurprisingly, the Clippers hold an advantage for average points scored and average points allowed. For points scored, the Clippers have an average tally of 107.0 compared to the Kings 100.2 and for average points allowed; the Clippers have an advantage of 101.0 to 104.2. The Kings are likely to be without Darren Collinson and Reggie Evans is being monitored on a daily basis. The Clippers are likely to be without Blake Griffin and Austin Rivers is being monitored on a daily basis. The Clippers should have more than enough to see them through this game and even with a modest negative handicap, you should find that this is the team to back on Saturday. Bet Now! One of the most important things about the Raptors run of victories comes with who they have been beating to rack up the wins. The Raptors can boast of a four game winning streak against the Clippers, the Spurs, the Wizards and the Hawks, all of whom are gunning for the play-offs themselves. This is the first time the Raptors and the Rockets have clashed this season and if the Raptors can grab another win against a strong side, they will be looking in really good shape for some post-season fun. The Raptors hold a 37-17 record coming in this one which includes a 16-8 record away from Toronto. The Raptors have won their last four games with the last game being an impressive 80-105 win away to Atlanta on Friday night. In their last 10 games, the Raptors can boast of an 8-2 record. The Rockets hold a 36-18 record and this includes an 18-8 record at home. They have tasted defeated in their last 2 outings, including a 111-100 loss in Dallas on Friday night and the team holds a 6-4 record in their last 10 outings. For average points scored, the Raptors have the edge, holding a 105.6 to 103.1 while things are a lot tighter with respect to average points allowed. The Rockets have an advantage here, with a 100.0 record compared to the 100.4 record of the Raptors. Both teams have a clean bill of health coming into this game and it looks like being a massively tight game. You can see both teams having enough in their locker to clinch this one but taking the Raptors, even with a modest negative handicap, should be enough to keep you interested on Saturday. Bet Now!